I would sincerely love to try more US recipes, but the lack of weight measurements, whether metric or imperial, can be a huge drawback. Macarons au chocolat! Now that's tempting! How do you do grams of egg whites? Why did she just say how many eggs minus the yolk. 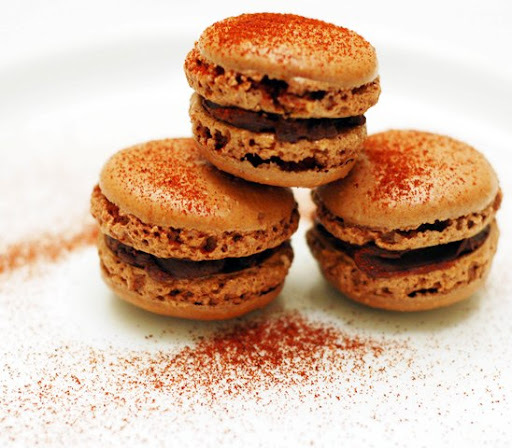 Yes, the "french" spelling is Macaron and as Chef John says "cooler". Chef, maybe we should do a video teaching your audience how to make these lovely little morsels! i'd love to have a video on these! Yes, Connie, it is just over by using 3 egg whites but you really want to be right now with macarons. I use a bakers scale to measure out ingredients for baking - best investment ever! need video for this recipe! I just learned how to make macaroons. Could you take a look and tell what do you think? I know, they are not perfect yet. By the way, what size tip do you use?